Are you a fan of Greek mythology? If so, visiting actual places were either mentioned in the myths, or built to worship one of the deities, is a bucket-list experience. Unless you have unlimited time, however, it can be impossible to decide exactly where to go. Here’s a list of the essential places you really must visit if time is a factor. 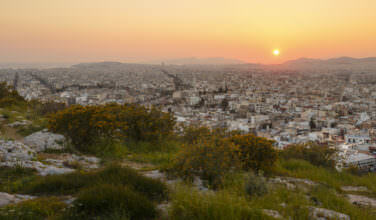 While in Athens, you absolutely want to visit the Parthenon and the Acropolis Museum near it. Built to honor Athena, the patron goddesses of Athens, this is one of the most iconic ancient structures in all of Greece. It’s not only a great place from a mythological standpoint, but there is a rich history that surrounds it. In World War II, for example, the Nazis used it as a munitions storehouse. 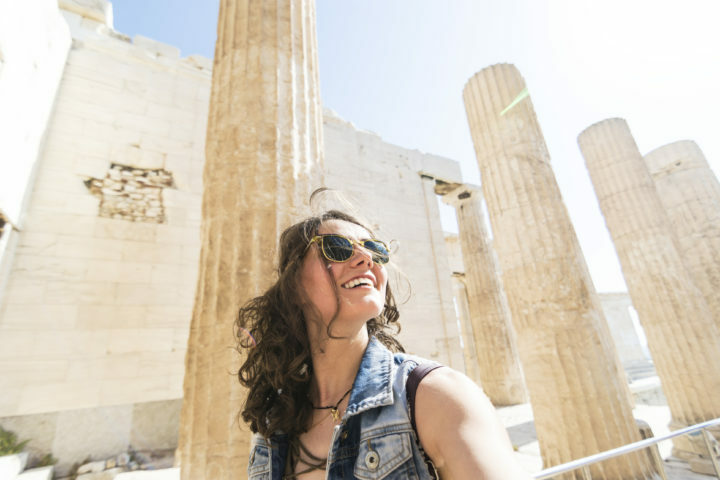 If you have time for a daytrip while in Athens, you’ll want to travel to Sounion to see the Temple of Poseidon. You can join a tour, drive, or even take public transportation. Though the temple has been partially destroyed, it’s worth a visit because of the views. 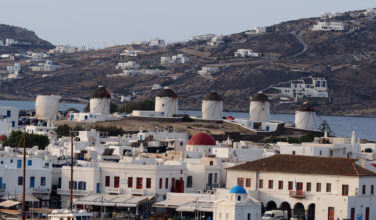 Kythira is one of those island paradises that are slightly off the beaten path. Sure, it’s accessible by both airplane and boat. However, it’s not as popular as some of the other islands. If you’re interested in visiting famous places from mythology, this is a good one. It is said that Aphrodite, the goddess of love and beauty, was born here. It’s a fitting place for Aphrodite – the beaches and unspoiled natural scenery is amongst the prettiest in Greece. The mythic town of Delphi, home of Pythia, the Oracle of Delphi, is still standing today. Visitors can tour the archaeological site where it is said that the Oracle shared her wisdom. Mount Parnassus, home of the muses, is also close by. Apollo, one of the Olympian Gods, was the patron of Delphi and is always associated with the Oracle. 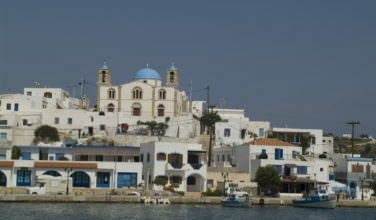 The Sanctuary of Apollo is also located here. Delphi is about a two and a half hour drive away from Athens and can even be a trip. 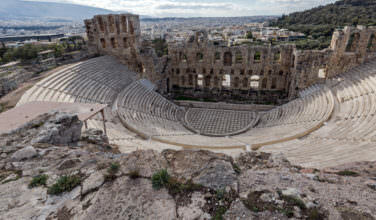 There are many tours that start in Athens and bring you to all the key sites in Delphi. There are a few sites worth seeing on Crete. First, the Knossos Palace is a prime example of the wealth associated with the Minoan Civilization. This site is also said to have been the place where the Minotaur’s Labyrinth was located. Another association Crete has to Greek mythology is that it is said to have been the place where Zeus was raised after he was hidden from his father, Cronus. After he was old enough, he freed his siblings from inside his father’s stomach and rallied them to overthrow Cronus. This is how the Olympian Gods and Goddesses overthrew the Titans. Aside from that, Crete is a beautiful island filled with beaches, cities, and a gorgeous countryside, just begging to be explored. If you’re interested in Greek mythology, visiting these places in Greece is a very good start. They offer the perfect way to explore Greece!